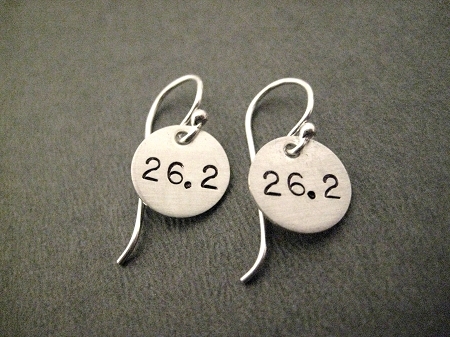 Our Sterling Silver RUN YOUR DISTANCE Earrings on Sterling Silver wire is a great way to show your passion for the Race Distance of your choice! 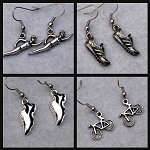 Show your passion! 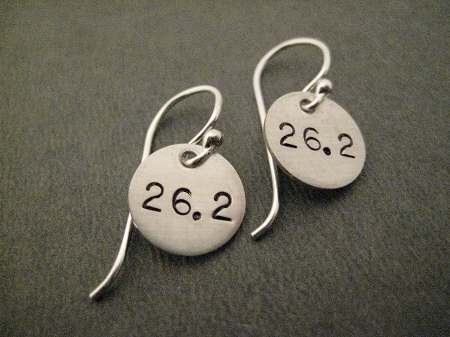 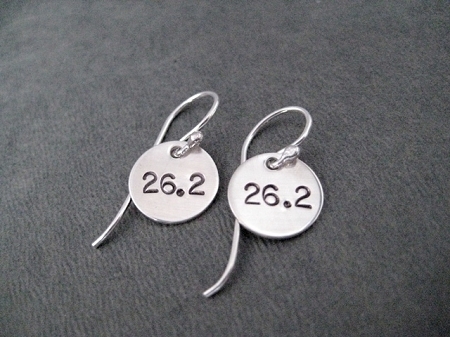 These lightweight earrings are made with 12 mm Sterling Silver French Ear Wire with a 7/16 inch (just under 1/2 inch) round Sterling Silver disc hand stamped with the Race Distance of your choice - either 26.2, 13.1, 10K, 5K or just RUN - dangling from each ear wire.